Client Testimonials | Niagara Caregivers & Personnel Ltd. Returning from St Joseph’s Hospital after major surgery, I was so thankful to receive 24 hour care from a superb Caregiver sent to my home from Niagara Caregivers & Personnel Ltd. At 91 years of age it would have been so difficult to cope with my daily meals. My Caregiver slept in my home and prepared my meals and was a constant source of cheerful encouragement. In addition to catering to my personal needs, she attended to the laundry plus kept my home in tidy and clean condition. She also checked my weight and recorded daily progress. I wasn’t required to make any requests or demands, my Caregiver just quietly attended to my needs. My family are so amazed and grateful for the expert attention I have received which I am positive has contributed to my ongoing recovery. Cherie, you sent us the very best! We will never forget the extraordinary women that cared for our parents. They both made such a difference in the life of my father and mother. We are blessed to have had them. Thank you Cherie for providing such a valuable service to the community. You and your team have been nothing but accommodating and we appreciate all that you’ve done for our family. You have been extremely helpful so thank you for all of your assistance and guidance. You really did make it possible for my parents to remain in their home much longer than we ever expected. Thanks again and all the best to you! Having been a client of yours for over twenty years now, I would just like to take this opportunity to thank you for the incredible service we have received from you over the years, not to mention the great staff you have placed with us. We appreciate your attention to detail when taking on potential candidates for the position we had available, and going above and beyond to make sure we had the right fit for our family. It truly shows how you take a personal interest and care for each and every one of your clients. 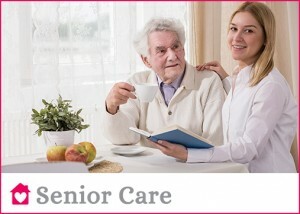 Our experience with Niagara Caregivers & Personnel has not only been efficient but also a pleasure. We were one of your first clients when you started Niagara Caregivers over thirty years ago, we thought it was imperative to expr3ss our thoughts, on your excellent service and reputation. We required your service when we learned we were having twins and already had an active two year old son at home. Our busy household was going to change drastically. You eased our concern from our initial meeting with you. You worked for and with us in a search for the “ right” Nanny and the day we brought our daughters home from the hospital, our Nanny was in place. Once we chose our Nanny, the paperwork was done promptly and efficiently. Over the years, we have had six different Nannies in our home – all through your agency. Thank you for your enthusiasm and dedication, patience and understanding for your job and our family. We are thrilled with Mary! She has proven to be a delightful addition to our family. She is cheerful, personable and energetic. Our community all know her and comment how she is mannerly and a fine outstanding girl. We agree!. Our children love and respect her. She is firm with the children, yet loving. We include Mary in all of our activities and she is having a wonderful time in Canada. The only disadvantage to all of this… is that one day Mary will have to go home. Having a Nanny is a working Mother’s ticket to free time to spend with the children and her family. I have time to go to night school and have most evening and weekends with my boys and my husband. Ricki is a pleasure to have in our home and has become somewhat like a sister to myself and the boys. My boys respect her and have grown attached to her. I go to work every day with peace of mind that they are in good hands. People have asked me what it is like to have a “stranger” living in my home. They are only strangers for a very short time and I have never felt that my privacy has been invaded. I think people have to realize that when their “ Nanny’s” day is done, they require their own privacy and most times I don’t even know Ricki is around. As far as my husband and I are concerned, this is the best type of “ day-care” available. 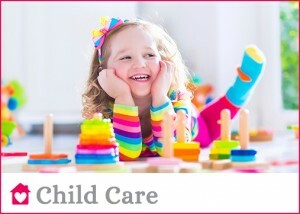 I have employed Nannies through Niagara Caregivers & Personnel for more than three years. I have found each young lady to be very kind and affectionate with my children. They are very eager to learn all aspects of their job requirements and carry out all duties and requests to the best of their abilities. It has also been my experience that after everyone’s initial period of getting to know each other, we very quickly function together as a family. It is always with a heavy heart and many tears that we must part. However, a friendship has been developed that will continue for we have all prospered and learned from our time spent together. Having a Nanny has greatly relieved any worries of going to work and worrying about a babysitter not showing up or of someone who sits and watches TV all day and does not interact with the kids. Our Nanny is excellent with the children, does crafts daily and is always playing games and teaching them new things. She is like a member of our family, goes along on holidays and joins us on family outings. The home is kept tidy and the laundry is done, so basically all I do is the evening meal. The boys are well behaved and listen to her, so she must be doing something right!